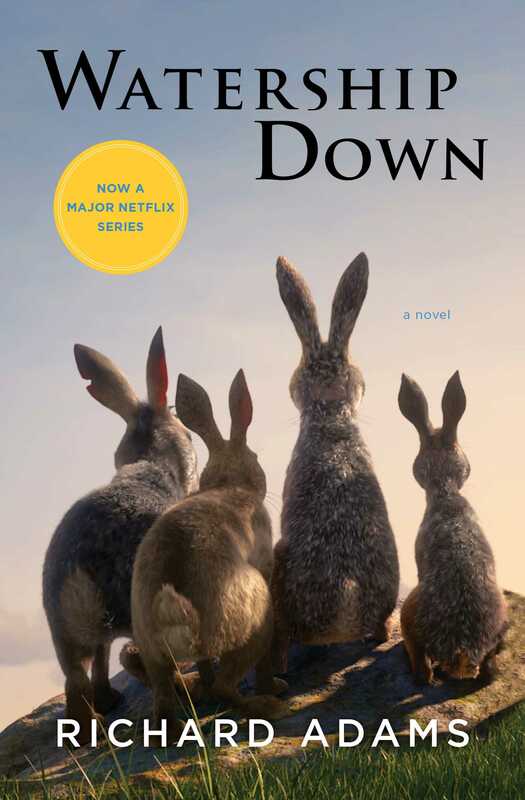 This reading group guide for Watership Down includes an introduction, discussion questions, and ideas for enhancing your book club. The suggested questions are intended to help your reading group find new and interesting angles and topics for your discussion. We hope that these ideas will enrich your conversation and increase your enjoyment of the book. A phenomenal worldwide bestseller, Richard Adams’s Watership Down is a timeless classic and one of the most beloved novels of all time. Set in England’s Downs, a once idyllic rural landscape, this stirring tale of adventure, courage, and survival follows a band of very special creatures on their flight from the intrusion of man and the certain destruction of their home. Led by a stouthearted pair of brothers, the adventurers journey forth from their native Sandleford warren—through harrowing trials posed by predators and adversaries—to a mysterious promised land and a more perfect society. 1. On page xii, Adams says Hazel and Bigwig were inspired by men Adams knew from his days as a soldier. Did you find this surprising? Where else do you see the influence of Adams’s war experience? 2. What is it that causes Hazel to instinctually, and often with certainty, trust Fiver, even when Fiver’s claims and predictions are extraordinary? 3. How does the Chief Rabbit at Sandleford compare to Cowslip at the warren of the snares and General Woundwort at Efrafa? Discuss their motivations and leadership styles. 4. On page 80, why is Cowslip’s laughter so unnerving to Hazel and the other rabbits, even before they know anything about the strange warren? 5. As Holly tells the story of what happened to the Sandleford warren after Hazel and the others left, the rabbits “suffered extremes of grief and horror . . . Yet, as with primitive humans, the very strength and vividness of their sympathy brought with it a true release” (page 161). Why are stories and retellings so important to the rabbits? Discuss the roles stories and storytellers play throughout the novel. 6. Why does Bigwig admire Kehaar so much? What is the source of the affinity between them? 7. What motivates Hazel to go to the farm for the hutch rabbits before Holly and Silver return from Efrafa and despite the risk? How does becoming a chief change Hazel? 8. Bigwig says, “If you’re going to tell a story, there’s only one I want . . . ‘El-ahrairah and the Black Rabbit of Inlé’” (page 267), just before he goes to infiltrate Efrafa. Why does he insist on that story? What is its significance? 9. When the rabbits reach the river in their escape from Efrafa, Fiver proves himself to be quite strong, clever, and brave (page 295). Where is the turning point at which Fiver begins to gain confidence? 10. “To feel that rabbits were competing to risk their lives at his orders” gratifies Woundwort (page 307), despite the early loss of his family and his rough upbringing during which he had to risk his life many times. Why do you think Woundwort favors violence and competition over sympathy and harmony? In the end, is he a hero or a villain? 11. Holly says of Woundwort, “He was brave, all right. But it wasn’t natural; and that’s why it was bound to finish him in the end. He was trying to do something that Frith never meant any rabbit to do” (page 467). Why is being “natural” so important to the Watership Down rabbits? What other qualities do they value the most? 12. In the Introduction, Adams mentions that his manuscript was rejected many times because publishers worried about the style and maturity level of the book. What do you think is the ideal age to read and appreciate Watership Down? 1. On page x and xi there’s a map of Sandleford, Watership Down, and the surrounding areas. Draw your own maps of the territory covered by Hazel and his compatriots based on what you imagined as you read. 2. Consider reading The Private Life of the Rabbit by R. M. Lockley and compare how the author describes nonfictional rabbits with how Adams describes his rabbits. How are they alike? How are they different? 3. Seek out some of the Uncle Remus Brer Rabbit tales and discuss the similarities and differences between Brer Rabbit and El-ahrairah.